This lovely PRS Custom 24-08 will be making its way to Sims Music. The Custom 24 is the quintessential PRS guitar, the iconic instrument that started it all back in 1985. The Custom 24-08 keeps all the same foundational specifications as the original Custom – maple top, mahogany back and neck, 24 frets, 25” scale length, the PRS patented Gen III tremolo, and dual 85/15 pickups – but adds a new level of versatility with its simple switching system. Featuring mini-toggle coil tap switches (like the PRS 408 model), the Custom 24-08 has eight different pickup settings that provide an array of humbucking and singlecoil tones, including a dual singlecoil option unique for this model. Justin had a great meeting with Remo, discussing the history of the company and ways to further develop our relationship with them. We’re looking forward to bringing more products to the store, like these Cleartone Heads. We’re thinking about reintroducing Crush Drums into our lineup at Sims Music. What do you drummers out there think? Crush makes a great, unique product, is coming out with a lot of new gear, and their high end kits remain accessible at an affordable price. Designed from the ground up by bass players, for bass players the Blackstar Unity Bass Series is straight forward and powerful. The new Unity Pro Bass System’s deceptively simple controls allow you to quickly and easily create your tone, with rock solid bass, detailed dynamics and innovative features in a compact package from 30 Watts to 500 Watts. Blackstar’s unique Response control allows the player to choose between the sound and feel of three classic power amp stages, shaping compression, natural drive and dynamics. Combined with three distinct preamp voicings and a 3-band semi-parametric EQ, Unity produces infinitely flexible bass tone and exceptional feel, whatever your playing style. The Unity 250ACT powered cabinet can be linked to any model in the line to add 250W or more of active power to your rig; taking you from the studio or rehearsal room to the gig with ease and portability. From the organic response of classic valve amps, to a transparent clean platform, Unity brings together the ultimate in bass tone. 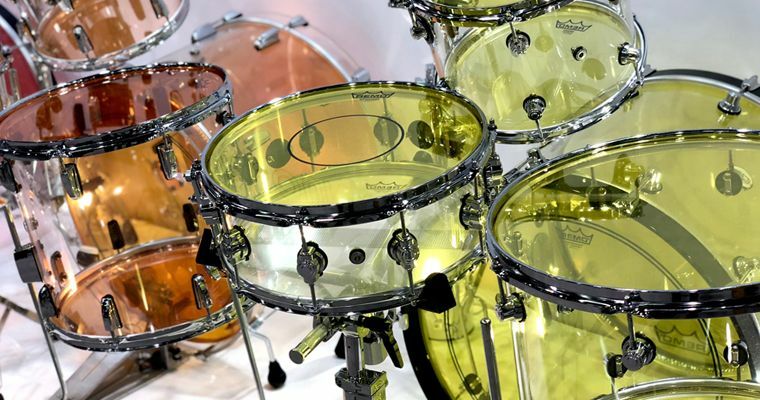 The world’s largest touring and music festival supply companies say that Yamaha drums and hardware are the most requested and reliable available, which inspired them to create the Tour Custom Maple Traditional Satin series. Continuing the design legacy of the original Absolute Series, these new drums combine the projection and expressive capability of all-maple shells with the beautiful grain of US maple inside and out, and are available at an economical price. We’re now taking orders for Sims Music. If you like your bass prominent and powerful, the Yamaha DXS Series high-output, powered subwoofers will ensure your bottom-heavy audio is heard loud and clear. Featuring high-efficiency Class-D amplifiers and a customized woofer housed in a sturdy plywood band-pass enclosure, DXS subwoofers are capable of delivering up to an impressive 1020W of distortion-free power with supreme clarity. The whole lineup features Yamaha's state-of-the-art DSP, protection functions, and flexible crossover control allowing for seamless compatibility with Yamaha's vast lineup of full-range speakers, and reliable management of your bottom end. Yamaha’s Electric Acoustic Drums make your drums do more. The EAD10 electronic acoustic drum module enhances the way you practice, record and perform with your acoustic drums and frees your musical creativity. It instantly transforms your acoustic drum kit into a powerful digital/electronic hybrid with sampled sounds and studio quality digital effects. It allows you to play and record your acoustic drums along with your favorite artists from your music library or from tracks from your friends and share them digitally. Taylor’s V-Class Series brings a groundbreaking new bracing system that transforms the way an acoustic guitar top vibrates to dramatically improve the sound. Developed by Andy Powers, it marks a bold departure from traditional X-bracing, producing notes that are louder, longer sustaining, and more in tune with each other. Traditional X-bracing creates a trade-off between flexibility and stiffness. This means a compromise between the ability to produce volume and sustain. V-Class bracing allows a top to be stiffer in the direction of the strings, and more flexible across the both sides of the lower bout. This allows the top to produce both more volume and sustain. Because V-Class bracing creates a more orderly response from the top, it puts the top more in tune with the vibrating strings. This drastically improves the intonation of the guitar’s notes along the entire fretboard, eliminating sour notes and other tuning discrepancies. Notes are truer, with more power, harmonic agreement, and consistency. We've got V-Class bracing coming to Sims Music with the 914ce, K24ce, and the Builders Reserve Koa. We got a chance to check out a new line of guitars we’re considering bringing on board at Sims. Suhr produces some of the finest hand-crafted guitars and amplifiers. Their dedication to the highest standards of quality, attention to detail, ear for tone, and love for music, are all evident in the guitars they produce. Let us know what you think, and if you’d like to see some of these guitars at Sims Music. We wrapped up the day in pedal land, checking out the booths of our currently stocked pedals and looking for some new pedals to add to our lineup at Sims (Clockwise from Top R: Strymon, Bogner, JHS, Wampler, Keeley, Xotic). Which ones would you be interested to see?